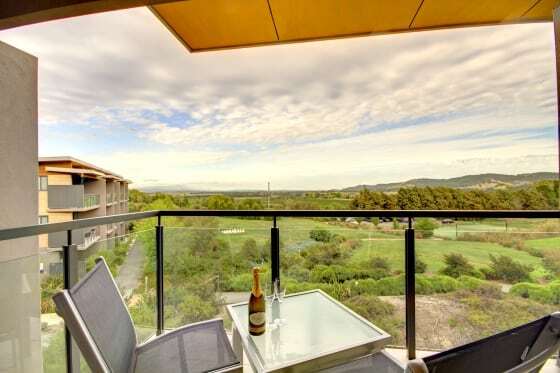 Our great value daily Yarra Valley tours are a fantastic way to explore and dabble with some of the amazing food and wine product our region has to offer in a fun and social atmosphere. 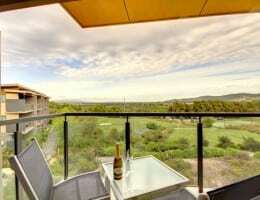 These tours have traditionally only been run as a single day trip from Melbourne, but now we have created a option that allows you to further indulge your senses in the food, wine and wellbeing at the Yarra Valley’s premier Vineyard Spa Resort – Balgownie Estate, for a 24 hour overnight layover. 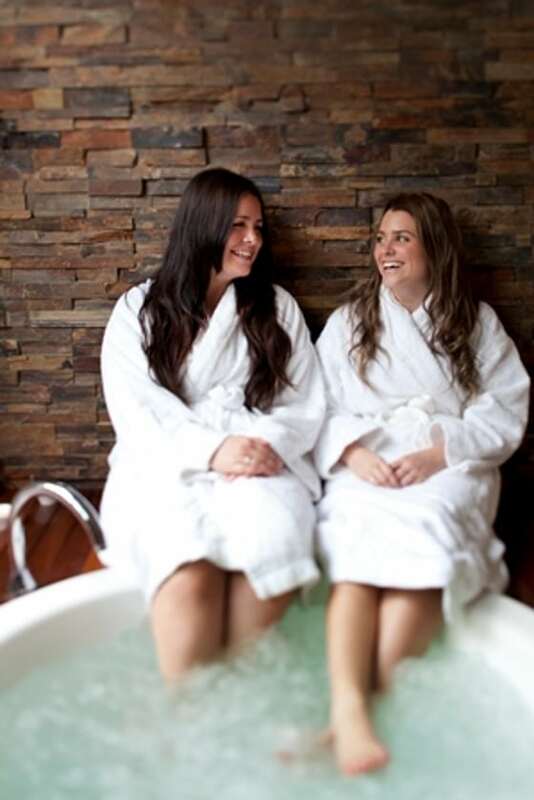 Ideal for a romantic getaway, quick city escape, relaxing time out with the girls, or why not spoil someone and give it as a special gift. 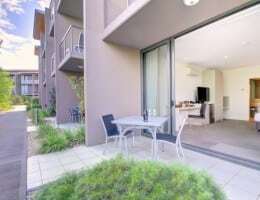 Indoor pool, wet steam room, dry sauna, swimming pool, gymnasium, wellness spa (at own cost), walking trails, tennis court, cellar door wine tasting, restaurant and bar. Price starting from: $415 per person based on 2 people. Cellar Door Tasting at Steels Gate Wines, Balgownie Estate and Yering Farm. Multi language Audio Guide includes Cantonese, Mandarin and Japanese. This package tour is inclusive for 2 people. Only space for an overnight bag is available per guest. Board our Yarra Valley Wine Experience – Enjoy a personalized tour in the company of an average number of 12-20 people, max 24 passengers in our luxury, air-conditioned fun bus. Choose from 5 central meeting points departing between 9.00am – 9.40am. Join our Wine Expert as your guide this morning, who will entertain and educate you and your fellow travellers. Taking in the sights during your relaxing journey to the Yarra Valley. Make some new friends this morning with our small group touring of up to 24 passengers. After an approx. 1 hour transfer to Yarra Valley we arrive at a premium cellar door to enjoy your first tasting. Your first stop is Steels Gate Wines cellar door. This winery is situated in a picturesque hillside setting at Dixons Creek. Their range of wines are all estate grown and estate made offering finesse and exceptional flavour. Our tour guide will present an entertaining wine tutorial. Learn how to swirl, sniff, slurp and then enjoy an extensive cellar door tasting at a unique Yarra Valley cellar door. Our next destination today is the amazing Balgownie Estate. Tucked away just off the Melba Hwy, Balgownie is a real gem. With spectacular views and a great display on the history of winemaking, this place has a lot to offer. The cellar door staff will share some of their great wines with you before you move into the striking Rae’s restaurant for a delicious 1 course lunch that includes a glass of wine and tea or coffee. 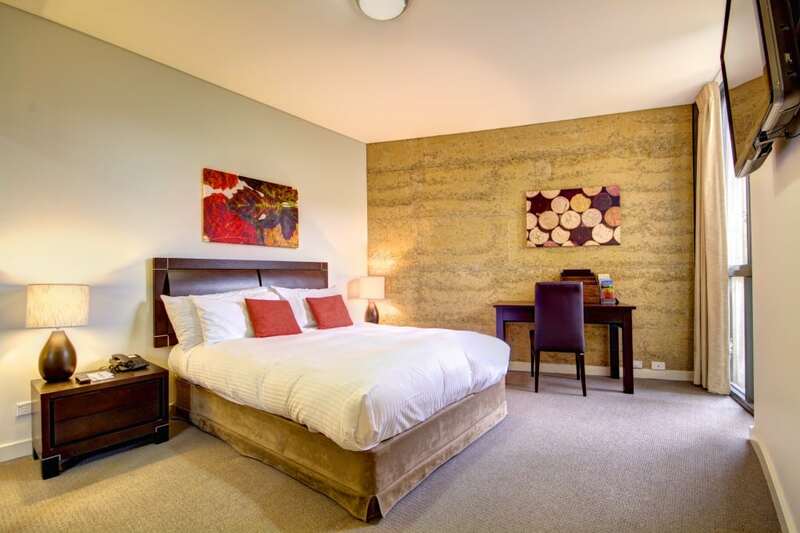 After lunch say goodbye to your touring companions for today and make your way to reception to check in for your relaxing overnight stay for 2 in a Spa Suite at Balgownie Estate Vineyard Resort and Spa. There are many activities to enjoy in the afternoon from complimentary access to the Health Club (experience pool, steam room and gym equipment). Or why not book in at the Natskin Spa Retreat (at your own expense). 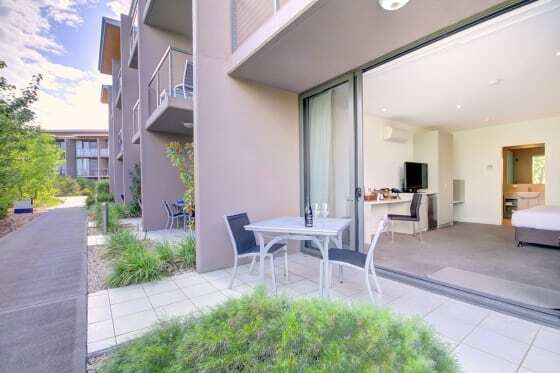 Leisure facilities include tennis court, volleyball net, giant chess set and 1.6km walking trail. Enjoy dinner in the comfort of your room or why not head to Rae’s Restaurant for dinner (own expense). Enjoy a delicious Buffet Breakfast for 2 at Rae’s Restaurant at leisure then the rest of the morning is free time to explore and enjoy the resort. (Lunch at own expense). 1.15pm please make your way into the cellar door to meet your driver guide after lunch. Make new friends on board our touring service this afternoon – settle back and enjoy. Today we take in the sights of Yering Farm, a converted old hay shed situated at the top of the hill overlooking stunning views. Our last stop for today is the home of French Champagne company Moet & Chandon’s Australian production house Domain Chandon. Enjoy a guided tour through the winery that shows how the wine is made followed by a relaxing glass of Australia’s best bubbly and a view that will leave you in awe. Tour return time will be between 4.30pm – 5.00pm depending on traffic conditions and drop back location will be as per your pickup location. We ask passengers to be ready and waiting 10 minutes prior to pickup time. We appreciate a mobile phone or hotel contact for all bookings. We recommend allocating just one central pickup location per booking, multiple pickups may result in passengers touring on different vehicles. To gain a sense of what your can experience on your tour to the Yarra Valley tour check out our video.